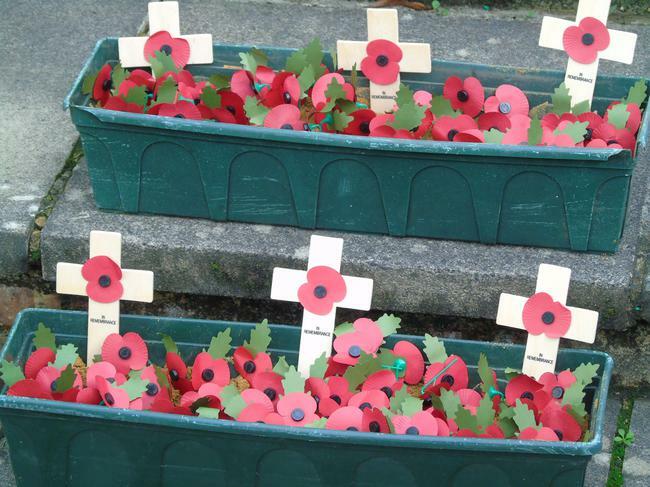 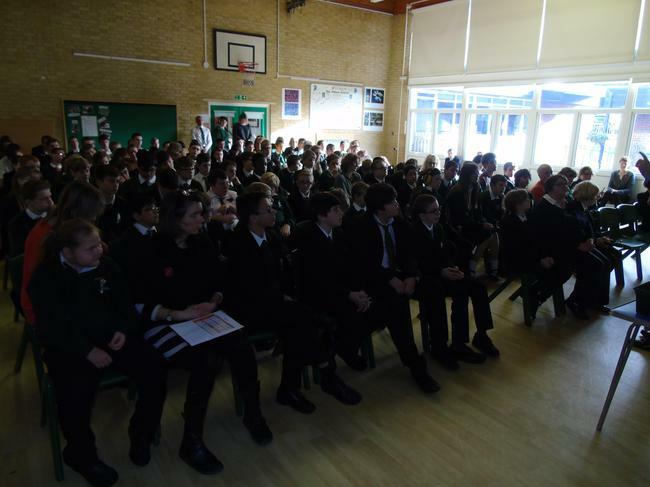 A whole school assembly was led by Padre Antony Wilson from the Aldershot Garrison. 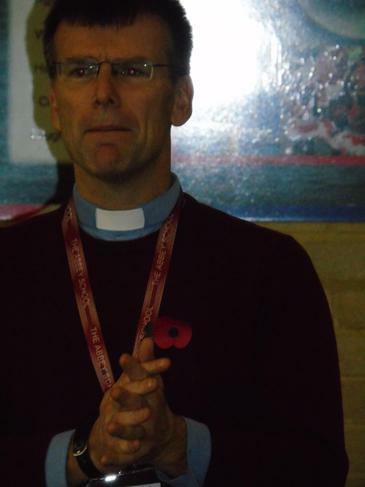 Padre Wilson works with the Grenadier Guards. 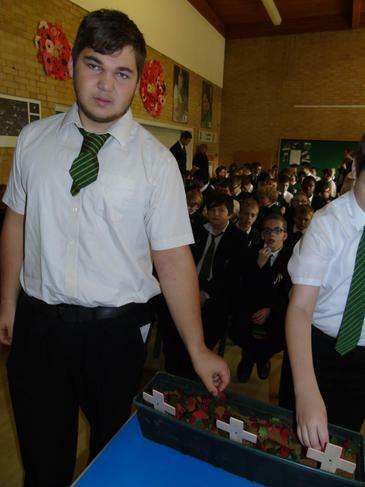 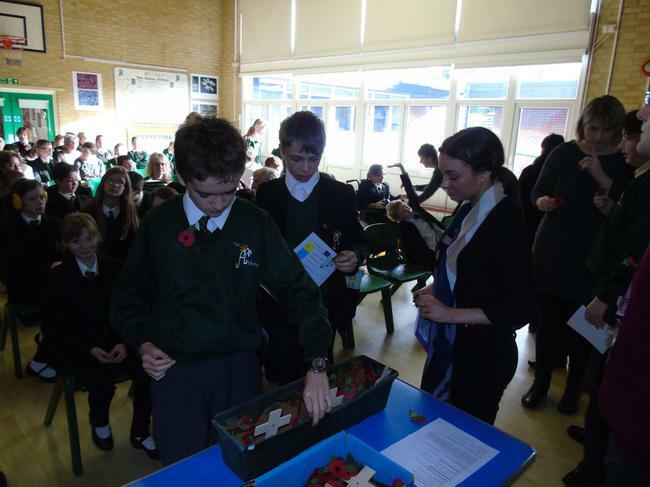 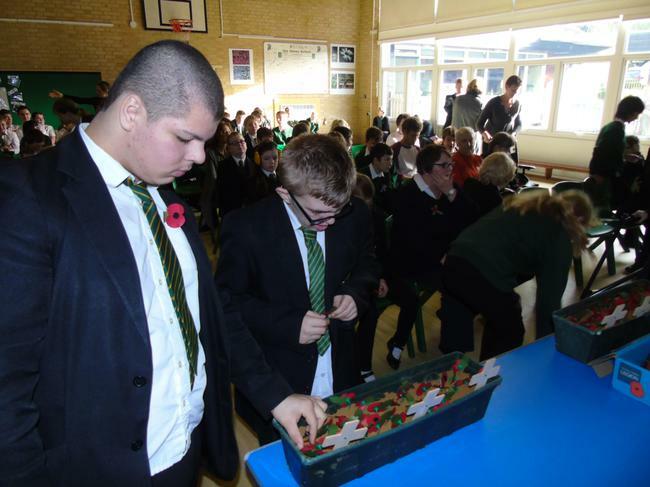 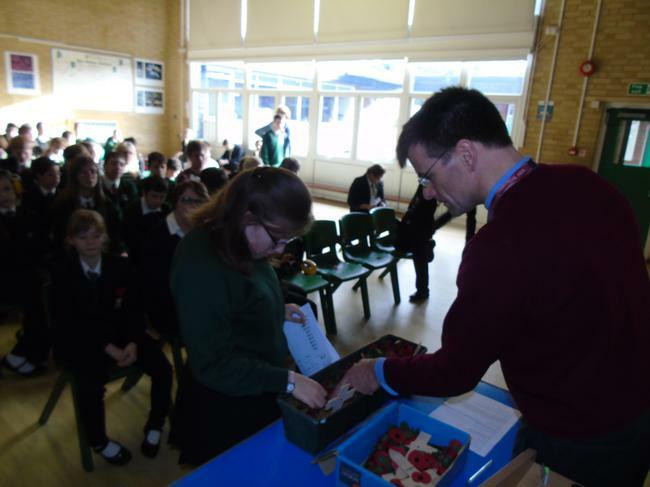 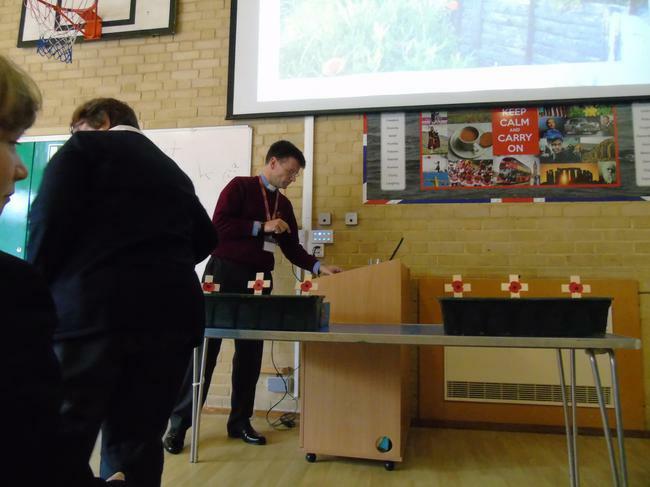 After his presentation, he helped the students plant their poppies in sand to make a remembrance garden for the school quad.